There isn’t one miracle product that can give you ageless looking skin. More often than not, it takes several products to address both your skin type and your range of concerns, from wrinkles and sun damage to clogged pores, dull skin, dehydrated skin, breakouts, redness and so on. Our Essential Routine covers the 3 basic steps you need for healthy skin. If you’ve already got the basics covered, you can try an Advanced Routine, adding additional products to target specific concerns. No matter how you define beauty for yourself, we want to nurture and celebrate it by telling you the truth about skincare and skincare ingredients so we can help you get as close as possible to your objectives. We’re here if you need us at any step along your journey to finding the best routine for your skin. Get your personalised Essential or Advanced Skincare Routine in 3 simple steps. 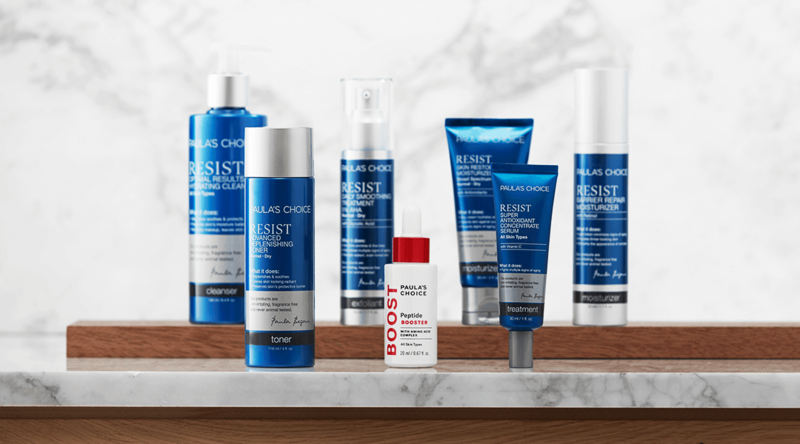 The Essential Routine covers the core steps to keep skin healthy, smooth, and protected, and the Advanced Routine features a broader combination of products to maximise results. An essential routine is the basis for a good skincare routine and only takes 3 steps and 4 products. Try the Routine Finder to discover which essential routine is right for you. Prepares skin for the next steps. Use as last step in the morning. If you have already nailed your basic routine and feel you need to take your skincare routine to the next level, then you can personalise your routine by adding additional products for even better skin. Our Advanced Routines include toners, boosters, serums and treatments. These are designed to address multiple skin concerns such as signs of ageing and uneven skin tone, plus provide extra hydration and protection from environmental damage. A toner can be used after cleansing to remove the last traces of make-up and cleanser and repair the skin’s barrier. 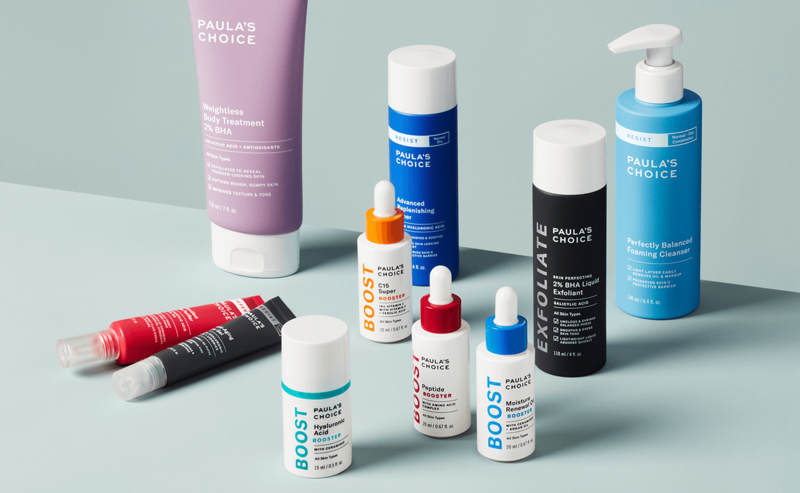 Boosters, serums and treatments can be used after your exfoliant. Boosters are mainly one concentrated ingredient to target a specific concern. Many boosters have a liquid or fluid texture, which makes them ideal to mix with a serum or night moisturiser. Serums are packed with antioxidants to limit environmental damage and reduce signs of ageing and irritation. Treatments are a combination of effective ingredients to target a specific skin concern. Use our Routine Finder to find out which products you can add to boost your routine. New to skincare routines and still a bit lost? Check out our Beginner’s Guide To Routines. 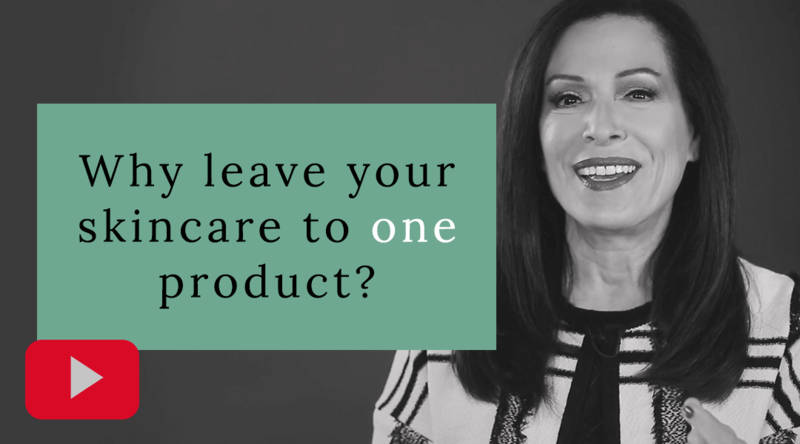 This will take you through all the possible steps in a skincare routine and how to choose the right products for you. It also covers answers to frequently asked questions about building a skincare routine such as- What order do I have to apply products? Do you have to adapt your routine from summer to winter?